The Similarities Between Quality Marriages and Quality Long Lasting Dentistry and Improving Your Effectiveness as a Dental Professional is organized by Ultradent Products, Inc. and will be held on May 03, 2019 at Aloft Oklahoma City Downtown - Bricktown, Oklahoma City, Oklahoma, United States of America. This CE Conference has been approved for a maximum of 8 CE Hours. Description: Modern operative dentistry is guided by some very important principles that must be understood in order to create predictable, quality, long-lasting results. There is a plethora of restorative materials available today, and we as clinicians must be as knowledgeable as possible about each of them. We must know when to use composite, lithium disilicate, zirconia, porcelain, metal, etc., and we must know the dos and don'ts for preparing the tooth and the chosen material. 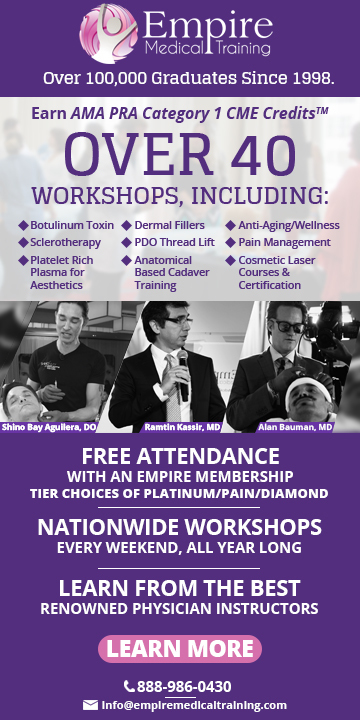 Join Dr. Dan Fischer as he discusses a fun way to help dental professionals stay on top of the complex and ever-changing dental world by comparing the creation of quality, long-lasting dentistry with the creation of a quality, long-lasting marriage. You’ll see that what can be boring becomes fun and, hence, memorable, assuring immediate and lasting implementation. Course Objectives: • The importance direct veneers and esthetic composite restorations play in the reconstruction of teeth • When posts should be used and when indirect dentistry is best for the patient • Advancements in today's bonding and adhesive technologies • How to achieve profound hemostasis and maintain control throughout your procedures • The two different types of tooth staining and possible causes of each • How whitening products work • The safety and effectiveness of whitening agents • Possible contraindications for whitening Additional details will be posted as soon as they are available. 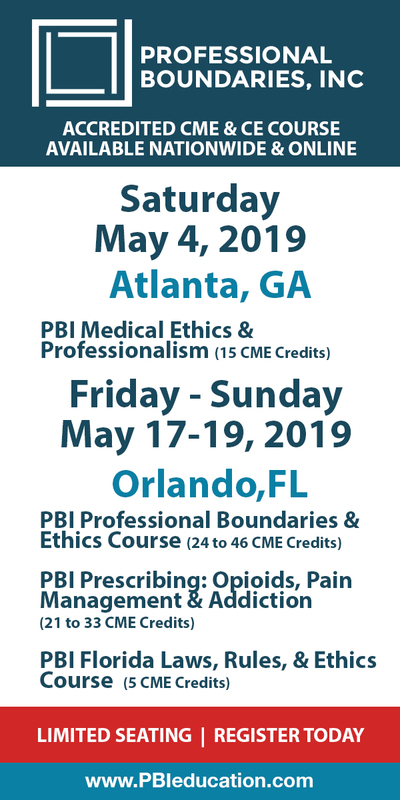 Borderline, Narcissistic, Antisocial and Histrionic Personality Disorders: Effective Treatments for Challenging Clients is organized by PESI HealthCare and will be held on May 15, 2019 at Embassy Suites by Hilton Oklahoma City Will Rogers Airport, Oklahoma City, Oklahoma, United States of America. Target Audience: • Counselors • Social Workers • Psychologists • Psychotherapists • Therapists • Addiction Counselors • Marriage and Family Therapists • Case Managers • Nurses • Other Mental Health Professionals Course Description: Join Dr. Gregory Lester as he delivers an intensive workshop and seminar designed to provide you with the knowledge, skills, and abilities to identify and treat your most difficult personality disordered clients. Better understand your clients with Antisocial, Narcissist, Histrionic and Borderline Personality Disorder and make a breakthrough in clinical treatment. • Manage the manipulative and possibly violent Antisocial Personality Disorder in-session. • Overcome the Narcissistic Personality Disorder trait of perfectionism and combat their need to overpower you as the therapist. • Better understand your clients diagnosed with Histrionic Personality Disorder whose intense emotions and need for attention will test your patience and compassion. • Help the Borderline Personality Disorder client deal with their explosive emotions, self-harm tendencies and cravings for chaos. Case studies and video examples will be used to illustrate client symptom presentation, treatment, and management of each Cluster B client type. You will explore various modalities that are effective with antisocial, narcissistic, histrionic, and borderline personality disorders, such as Motivational Interviewing, Cognitive-Behavioral, Interpersonal, and Dialectical therapies. Each of these theories will be explored to provide you with solid and useable skills to include in your daily practice. Objectives: • Determine how the changes with the DSM-5® impacts diagnosis and treatment of the Cluster B Personality Disorders. • Identify and diagnose clients with antisocial, narcissistic, histrionic and borderline Personality Disorders to effectively inform your choice of treatment interventions. • Utilize case studies to differentiate symptom overlap, effective treatment and emotional management of each Cluster B Personality Disorders client type. • Manage the manipulative and potentially violent behaviors with your clients diagnosed with Antisocial Personality Disorder in session to make therapeutic progress. • Implement CBT techniques to clarify behaviors, values and goals with clients diagnosed with Narcissistic Personality Disorder. • Incorporate techniques to decrease explosive emotions, self-harm tendencies and cravings for chaos for clients diagnosed with Borderline Personality Disorder. • Utilize MI and DBT techniques with clients diagnosed with Histrionic Personality Disorder to help manage cognition and improve emotional regulation. Additional details will be posted as soon as they are available. Family Nurse Practitioner Certification Exam Review and Advanced Practice Update - 2019 is organized by Fitzgerald Health Education Associates (FHEA) and will be held from Apr 25 - 27, 2019 at The Skirvin, Oklahoma City, Oklahoma, United states of America. This CME Conference has been approved for a maximum of 35.50 Contact hours. Description: More than 110,000 NPs have prepared for certification and practice with the Fitzgerald Review—the best NP review & value on the market! COMPREHENSIVE—All formats include: • Preparation for both AANP and ANCC AGPCNP exams • More accredited contact hours than any other course • Expanded content meets the latest changes to the exam blueprints and domains • 150-question practice exam included with each course • Comprehensive 4-color printed reference/workbook with dozens of tables, included with all formats (Online, Live, MP3) • Extensive online resources • Final review of hundreds of course questions PLUS bonus questions • Hundreds of clinical high-resolution color images Additional details will be posted as soon as they are available.